Product #3312 | SKU PT-XF3 | 0.0 (no ratings yet) Thanks for your rating! The Switronix PowerTap Male to Female and 4-Pin XLR Female allows the usage of the Switronix EX-L96 lithium-ion battery pack (Link to the EX-L96 here) with Sony’s F3 camcorders. 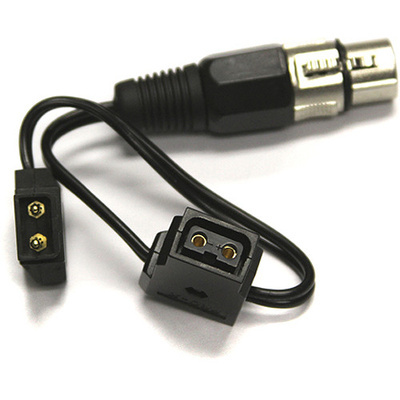 The cable has a 4-pin XLR connector for attachment with the camcorder and utilizes the power tap port for connection with the battery pack. It measures 8” (203.2mm) in length and includes an additional female powertap port.